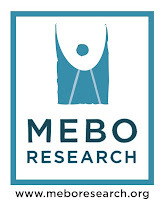 It's that time of year again to hold the MEBO Annual Meetup and Conference. It will be held in Orlando, Florida on the weekend of Friday, April 17th thru Sunday, April 19th. Of course, everyone is invited to stay through Monday or longer, and some frequently come one or more days earlier. The conference is always held on Saturday, and Sunday is a socializing field day, in which we go out as a group see special sites in the city. Many have already expressed a desire for this meetup to be held at an Embassy Suites because it offer daily complimentary buffet breakfast and "Happy Hour" Manager's Reception from approximately 5:00pm to 7:00pm every evening. Therefore, if you would like to join us this year, please make your reservations as soon as possible to get a good rate. The lowest online rates are nonrefundable, but for only just a little more, you can hold a reservation with your credit card, and it won't be billed until you check out. Check cancellation policy as well. If you live around the area, or want to stay at another hotel, you can still join us. Just let me know by emailing me at maria.delatorre@meboresearch.org, so that we can arrange meeting with you. 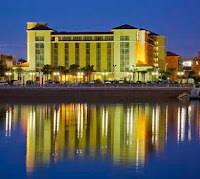 None of the Embassy Suites in the Orlando area offer courtesy airport shuttle service to/from the hotel. I have checked with the three Embassy Suites in the Orlando area, and although parking is complimentary (one per suite) at the Embassy Suites Orlando - North, none offer complimentary airport transfers. Yellow Cab could cost $49 each way. Perhaps you can coordinate with others who arrive around the same time to share a cab. Book your room as soon as possible to get the lower rate! so that we can spend some time together and chat. I look forward to meeting new faces and seeing familiar faces again! The past 4 conferences MEBO has held included many powerpoint presentation done by our scientists pro-bono specifically for our meetup as well as other presentation performed by the various MEBO Directors. Information discussed in these conferences can be found in THE MEBO BLOG (Scroll down to see all posts in this category). I will do a presentation on notable results and outstanding trends of the MEBO TMAU test programs, while protecting the privacy of everyone involved. We will highlight and discuss the PROS AND CONS of the urine test vs the genetic test, and some of their inconsistencies. Discussion on our Raising Awareness Campaign (Scroll down to see all posts).